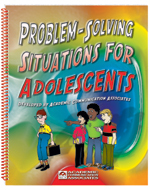 Ages 8 through 17. 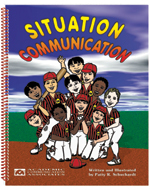 Here is a book that provides opportunities for realistic oral language practice in a variety of home and community situations. 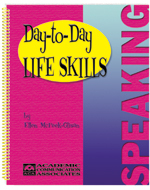 The book includes 312 activities for role-playing and/or discussion. 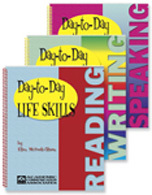 Save $6.00 when you order all three books in the comprehensive Day-to-Day Life Skills Series. Ages 11 through adult. 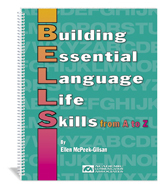 Develop vocabulary and language skills relating to a variety of daily life activities. 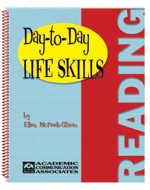 Develop reading skills using activities relevant to students daily life situations. Ages 11 through adult. 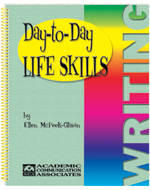 The activities in this book help students develop the writing skills necessary to communicate basic information in a variety of situations. Ages 4 through 8. 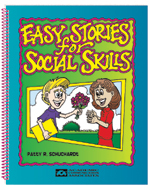 Teach young children with communication disorders and other disabilities the skills that they need to interact effectively with others in social contexts. Ages 10 through 17. 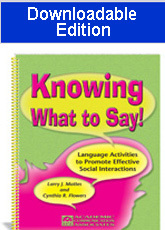 Students with language-learning disabilities often have difficulty using language appropriately in various social contexts. Ages 10 through adult. 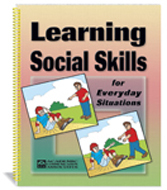 Help students with developmental disabilities and special learning needs function more effectively in social situations using the activities in this book. 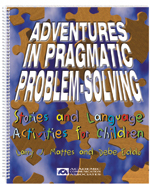 Build language skills as students participate in problem solving activities relating to everyday life situations using the high-interest activities in this book. 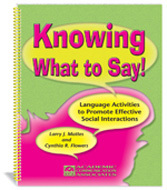 Help students learn to use socially-appropriate language, recognize the communication needs of others, express feelings and viewpoints, understand and respect different points of view, and MORE.